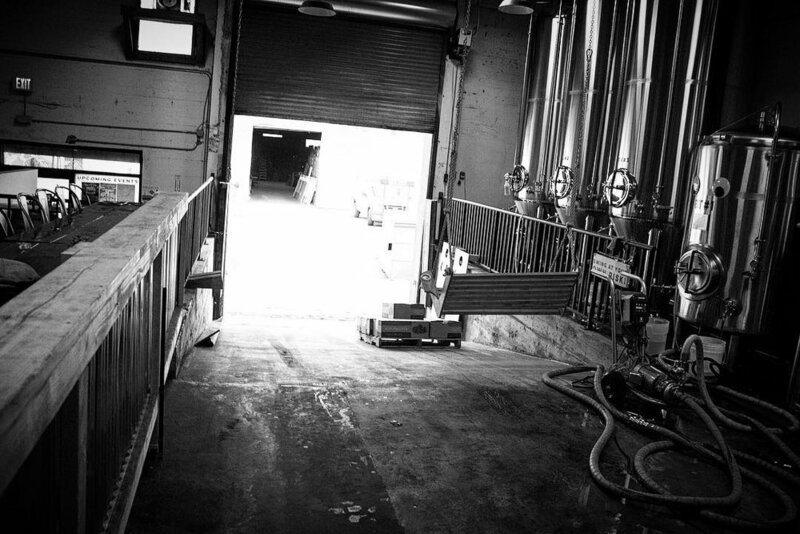 How our most recent collaboration with one of SF’s best new breweries was born. The Good Hop on Telegraph Ave in Oakland is one of several great beer spots in my neck of the woods. With a couple dozen handles, hundreds of bottles to choose from, and a really wonderful staff…it makes for a great hangout spot. For these reasons I was stoked to hear my friend and brewer Erica D. was in town and wanted everyone to come meet up at TGH to see her. Erica was a brewer at FreeWheel Brewing down in Redwood City (who we have collaborated with twice before and sourced wort production from) and has since moved on to Octopi Brewing in Waunakee, Wisconsin and become a strong voice for women in the production side of the beer business. She is often cited for her work with the Pink Boots Society. Having made many connections in the brewing world it wasn’t surprising to see brewers, sales reps, and bartenders had all come to see her while she was in town. While sitting at the bar I struck up a conversation with a fella named Rylan who was sitting next to me. 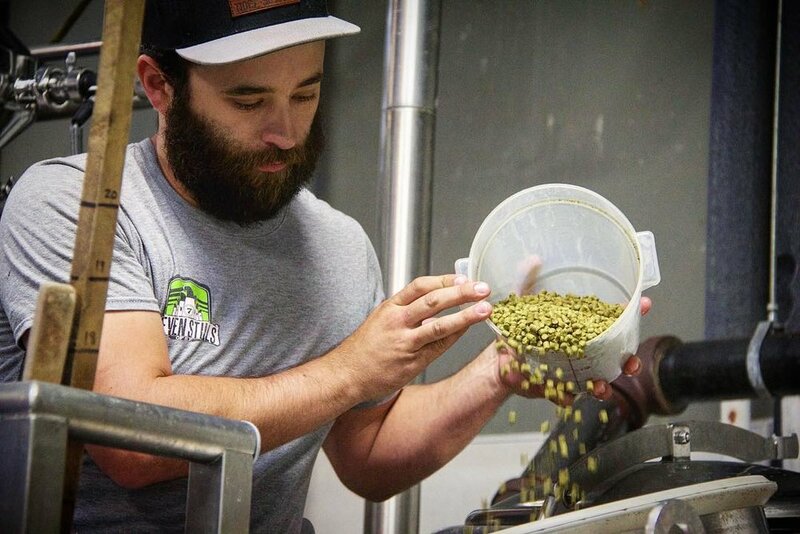 Rylan is a brewer at Seven Stills in San Francisco, a distillery known for their craft whiskey and more recently their brewing program. Their customers have an affinity for aromatic IPAs and flavorful kettle sours. I had never tried kettle souring, and Rylan has not brewed much long-aged sour ale. We naturally got onto the topic of mixed culture fermentation methods, desired flavor profiles, and recipe formulation. After several conversations over the following week and meetings with the rest of his team, we decided to collaborate. Our goal was to make a kettle sour beer with a balanced and nuanced acidity. Kettle souring involves introducing lactobacillus… a bacteria that naturally creates lactic acid…. into the unfermented wort before the boiling step where you introduce hops. Once a desired PH is hit (anywhere from 12 hours to 3 days later) you begin the boil which kills all the lactobacillus. This prevents the bacteria from potentially finding a permanent home in the brewery and causing unexpected results in beers they intend to brew with a pure strain of brewers yeast (Sacchromyces). Once boiled, hopped, and cooled you ferment kettle soured wort as you normally would. This process is not something I have done with other collaborations or plan to do with my barrel aged beers. I have chosen to do a longer, slower fermentation and maturation with a variety of yeast and bacteria in oak. Using this method you can expect a more complex fermentation character and acidity but it takes much longer (6 months to 3 years instead of 2-4 weeks with a kettle sour) and it makes it very difficult to create a “clean” beer. SevenStills is as much (if not much more so) known for their clean fermented IPA’s so we could not risk a contamination. I was willing to give kettle souring a shot since I had not tried it before. However, I wanted to create something complex. Rylan and his team were up to the challenge. 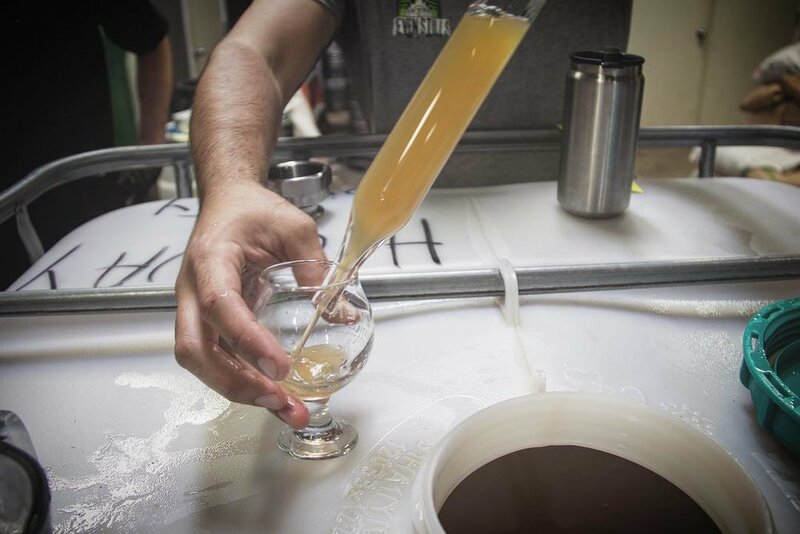 Once the wort was created (with the PH carefully monitored) we decided to pitch an expressive saison yeast from our friend Nick at The Yeast Bay and layer flavors into the beer by co-fermenting it with Sauvignon Blanc juice and Nelson Sauvin hops. These factors led to a very dry and lightly tart finished product with flavors and aromatics reminiscent of white wine. We named in ZOUR GRAPES as a play off of the song “Sour Grapes” by The Descendants. You can still find this beer a few places in the greater Bay Area. Many thanks to Rylan and the rest of the team for being such gracious hosts. It was great learning a new process and trying all of their beers. Be sure to pick up some of their beer or amazing whiskey.